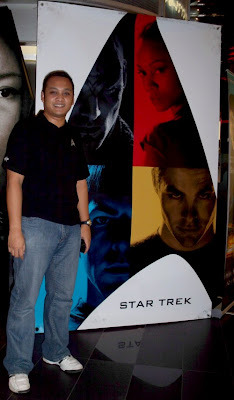 The day was Monday, and the date was May 11th 2009, a month before the new Star Trek movie played in Indonesia. I was very fortunate to have the chance to watch the movie in advance. It was in Bangkok, Thailand. I do not want to talk about why it was a month late the movie played in Indonesia. I will only talk about what happened that day when I watched the movie a month earlier. It was 8.20 pm. I walked the path to the ‘Central World’ mall. 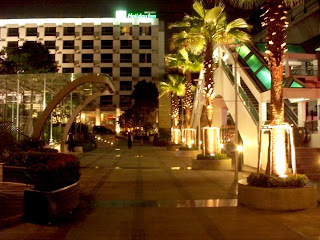 A huge mall in the heart of Bangkok, with open plaza welcomed my steps to the main entrance of the building. 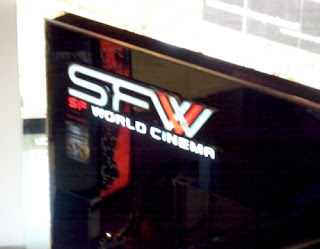 I went up to the 7th floor of the mall where there the first time I witnessed the largest movie cinema ever visited. 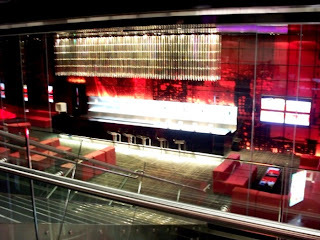 It has 3 floors to hold total 15 theaters, equipped with VIP sections and VIP waiting lounge that serves special food and drinks. I bought the ticket that cost THB 160 per person. 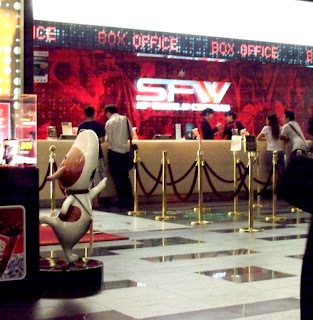 The ticket booths were situated on the lower floor and at the right corner. A glimpse at a corner of my eyes was shocking as I saw a huge and long Star Trek poster covering almost the entire wall. Oh my God! This was also the first time I witnessed Star Trek movie has had its most respectful position among other movies that aired at the same time. 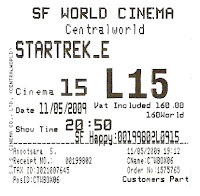 Oh, by the way, I wore my Star Trek polo shirt that night! Hehehe! And at the opposite position of the wall, there was a smaller Star Trek poster. Well, I call it smaller as in fact it was taller than me. I asked someone to take my picture right beside the poster. And I am not sure if he understood what the hack I was talking about... uhm welll... the important thing is he was so kind to take a picture of me. And that’s it! With one “Click!”, I had my picture taken! I felt so happy! 8.50 pm, I was the first person who entered the studio. I deactivated my phone, fixed my seating, and waited. Well, what do you know… let me tell you, there were no less than 40 minutes commercials before the movie started, including one moment to honor the King. It is hard to tell you how fascinating, amazing, and surprising the movie was. Star Trek has been rebooted. And they have done a great job! A new generation of trekkers will now have a brand new Star Trek universe to enjoy! J.J. Abrams is a genius! It was a mind blowing moment! I repeat; A “MIND BLOWING” Moment! I'll try to watch the movie! And revert you back what the 'mind blowing' meaning is. Hehehehe. Harap-harap bro tidak keberatan untuk posting lagi di blog Human Earth yang mengasyikkan itu. OK kawan, aku coba menulis lagi. Bahasan apa yang kira2 menarik untuk anda? Mungkin bisa saya tuliskan nanti. Terima kasih atas support -nya.